Face-to-face, instructor-led training is the most effective way for your sales team to get sustainable results from their prework/self-study activities. Our interactive workshops link knowledge to action by helping participants integrate what they’ve learned into their selling skills, apply their knowledge to the selling task, and practice in role plays or simulations. We develop workshops for all levels and needs, including new hire and advanced training, launch training, and to support ongoing POA meetings. Our interactive workshops are designed to make the most of participants’ time away from the field. After mastering essential knowledge in prework activities, they’re ready to start applying their knowledge, interacting with and learning from each other, and preparing for high performance when they return to the job. 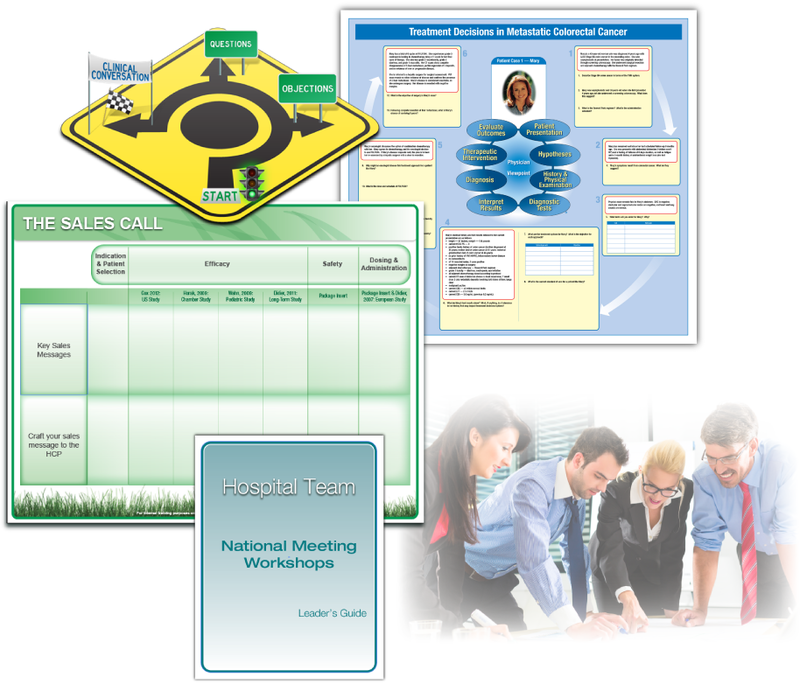 Learning tools such as ActionMats, patient cases, and games provide a structure for interactive learning, competition, and fun. Contact us to learn more about our interactive workshops.